The exceptional 1967 album ‘Days Of Future Passed’ has been regarded as one of the key corner stones in progressive rock history. 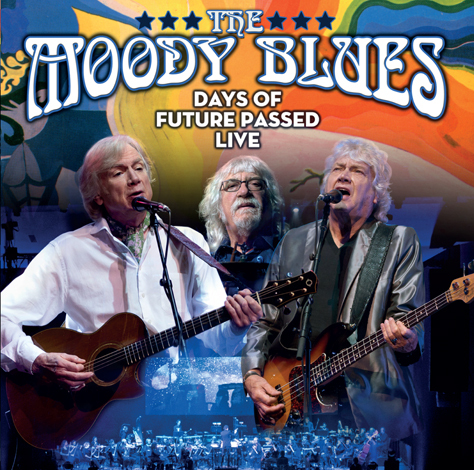 Fittingly accompanying their highly anticipated 50th anniversary tour, Moody Blues performed the album live in its entirety with a full orchestra for the very first time. Apart from the band’s most signature hits like ‘Nights In White Satin‘, ‘Tuesday Afternoon‘, ‘I’m Just A Singer (In A Rock And Roll Band)‘ or ‘Isn’t Life Strange‘, the performance additionally features the voice of Oscar-winning actor Jeremy Irons on two spoken word tracks. The full concert was recorded at the ‘Sony Centre For Performing Arts’ in Toronto and marks a must-have item for fans and genre aficionados alike for years to come.